Can I tell you a dirty secret? Cake is not my favorite. I know, right? But there is a caveat, I adore petit fours! It's like my taste buds know that petit four cakes are that much more work and so therefore are delicious. I'm not sure why I adore them, but I do. Whenever I have a special occasion, it's one of the top desserts that I request. 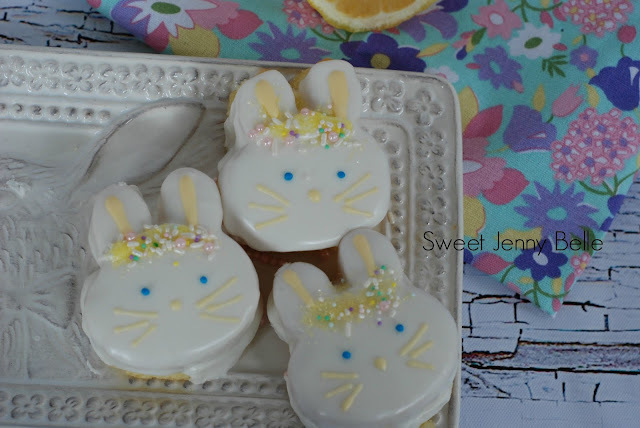 I was thinking that these sweet little cakes would be perfect for Easter, but I wanted something more than just cute squares. 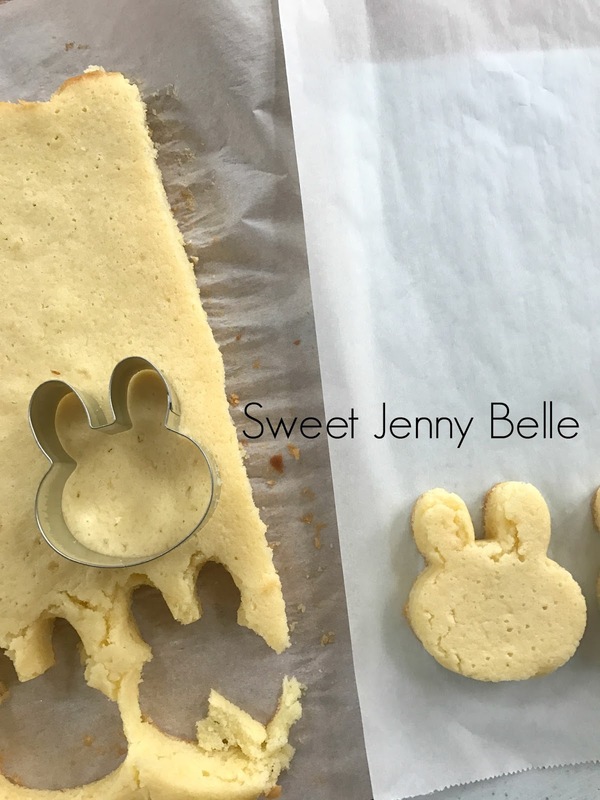 I wondered if I could use one of my cookie cutters to make shaped mini cakes - you can and they are so stinking adorable! 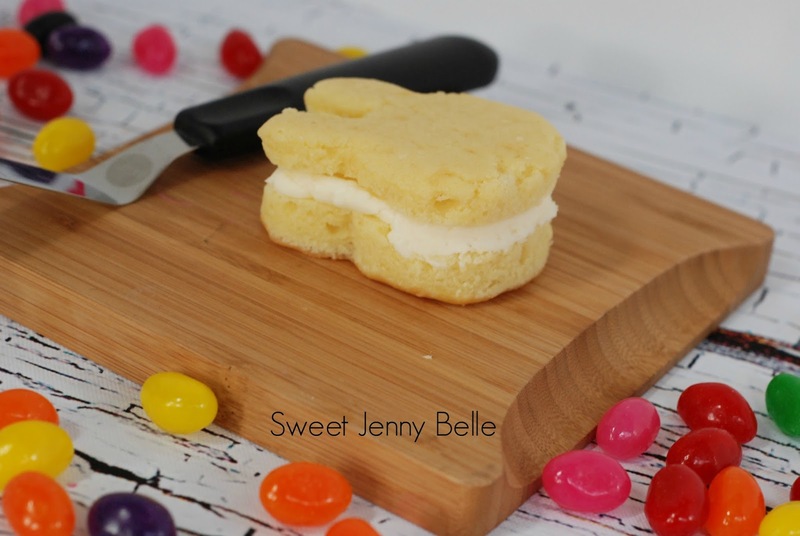 I have seen a few tutorials for petit four desserts that use a ready made pound cake. If you are pressed for time, do it. However, homemade mud cake is an insanely delicious alternative and it isn't that much more work. You can even bake and cut your cake the day before, just wrap those babies nicely and pop them in the freezer! 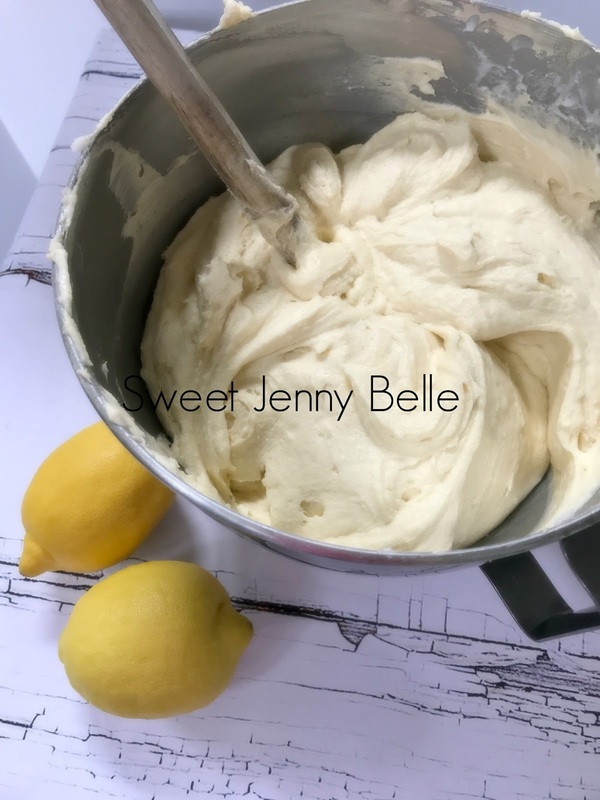 And you are going to want to try this lemon mud cake. It's moist with a delicious lemon bite - it will be your new favorite. It is a dense cake - plan on torting it for a yummy filling and keeping them bite-size. 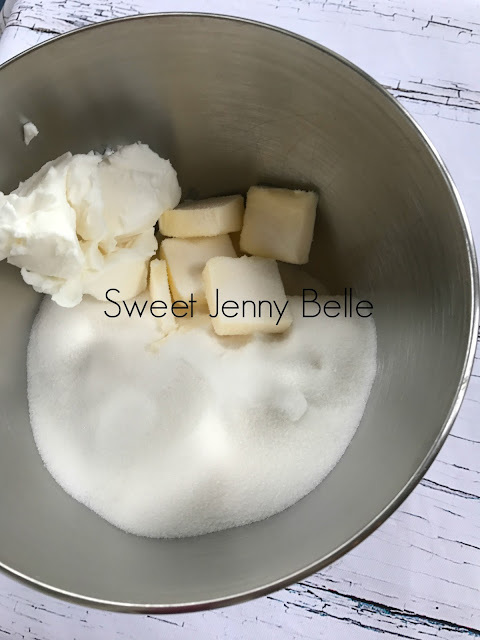 In your mixer beat shortening, butter and sugar together until light and fluffy - about 5 minutes. Gently add in vanilla, lemon extract and juice. Add one egg at time to your butter mixture, beating on light speed. In a seperate medium bowl combine flour, baking powder and salt. Alternating between your flour mixture and milk, carefully blend them into the butter batter. Fold in sour cream, mixing until just combined. Prepare a jelly roll pan with parchment paper and a cake release spray. Pour in batter and spread it out to all the edges. Bake for 35 minutes or until the edges are slightly browned and the center bounces back to the touch. Cool in the pan for 10 minutes and then remove. If you are going to make your petit four the day you bake the cake, allow it to cool for an hour. If you are baking your cake in advance, you can cut your cake with the cookie cutter of your choice once it has cooled. 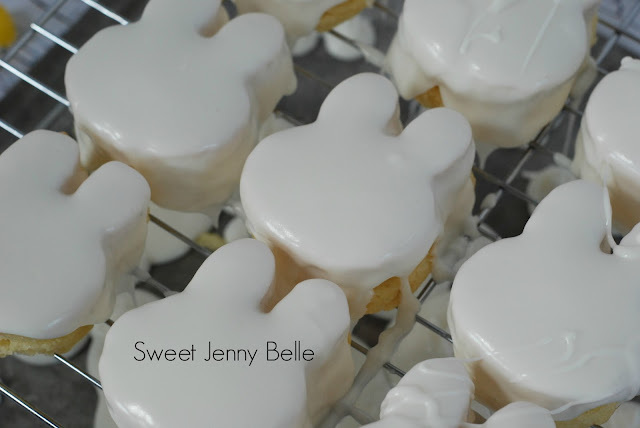 Then wrap them tightly with saran wrap and pop into the freezer until you are ready to create the mini cakes. The freezer will keep your cakes moist and you can work with them easily when they are cold. 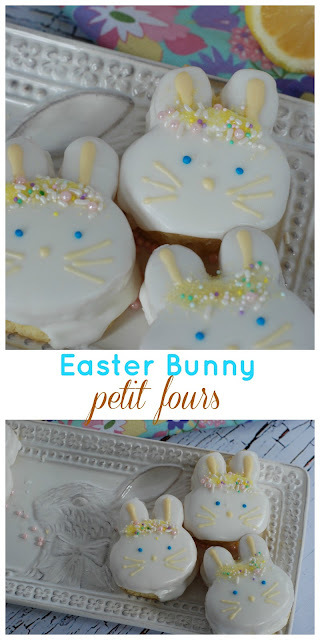 What do you need to create the bunny petit fours? Torte the mini cakes as evenly as you can with a sharp cake knife. This will be easier to do while the cakes are frozen. 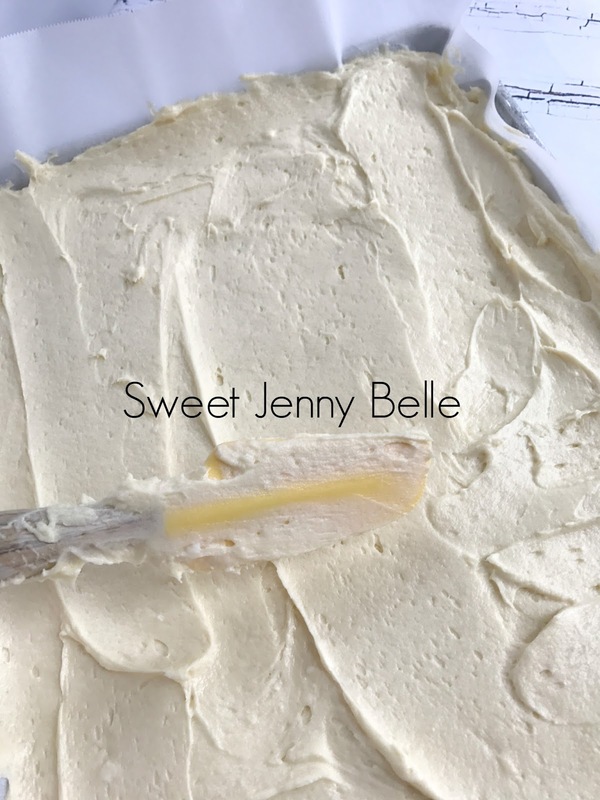 Fill the middle up with delicious buttercream frosting. You could even torte it twice and a second layer of filling. Prepare the pourable fondant and place mini cakes on a wire bakers rack over a pan. Carefully pour the fondant over each of the cakes. This will be easier to do while the fondant is pretty warm and liquid. The fondant will dry QUICK! Like super quick so you will need to work quickly. Once the bunnies are hardened, you can decorate as you see fit. I added a sweet crown of sprinkles with little bunny faces. Aren't they adorable? 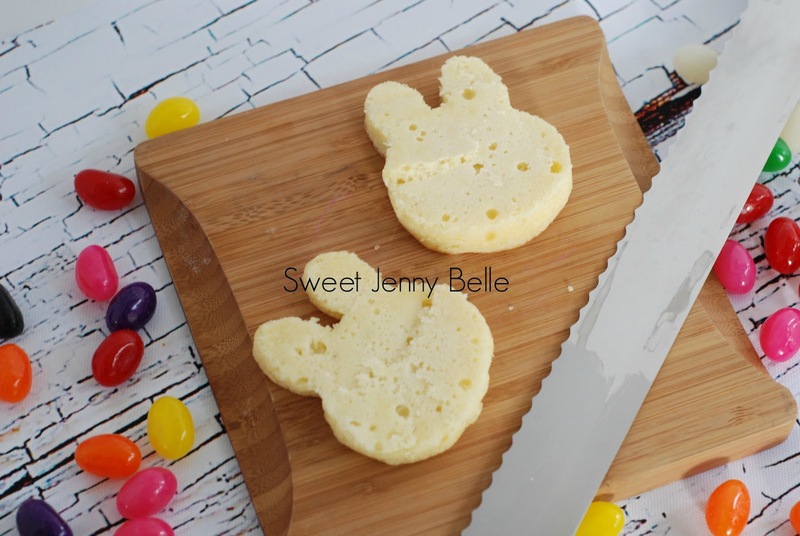 You can serve these on dessert plates or place in paper cupcake liners for a fun look. My husband said they look like Little Debbie's - lol! 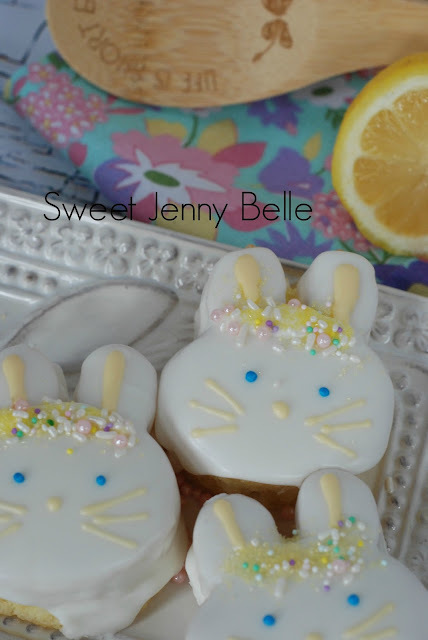 Maybe next time he can have those instead while I savor my delicious lemon cake and buttercream.. Mmm! Have extra fondant? Don't toss it! You can make delicious little candies with them. Come see what I did with mine.